Young female entrepreneurs from the UAE have been named on a list of inspirational women around the globe. Elissa Freiha and Rasha Shehada feature on the BBC’s 100 Women 2015 list, which shines a spotlight on inspirational women and their backgrounds, careers, and experiences as part of a celebration of gender equality. Out of the 100 women listed, 17 hailed from the Middle East, and two are from right here in the UAE. As well as making the overall list, entrepreneur Elissa and business director Rasha were also included in the ’30 under 30′. 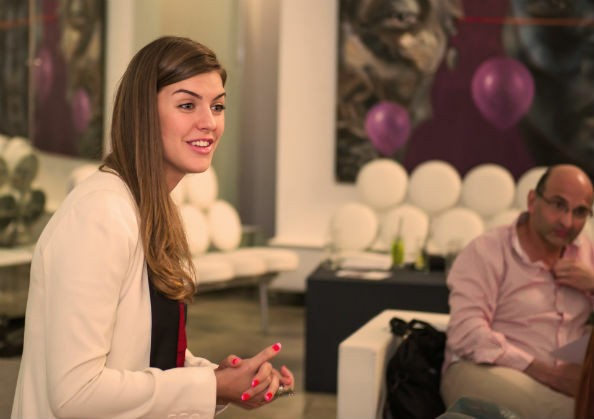 At just 25, Elissa (above) is the co-founder of WOMENA, an angel investment company that aims to provide women with a dependable, professional method of navigating the investment process in the tech industry from sourcing to close. As well as making it onto the BBC 100 Women 2015 list, Elissa was also recently named as one of Forbes’ Middle East’s Inspiring Business Leaders of the UAE. 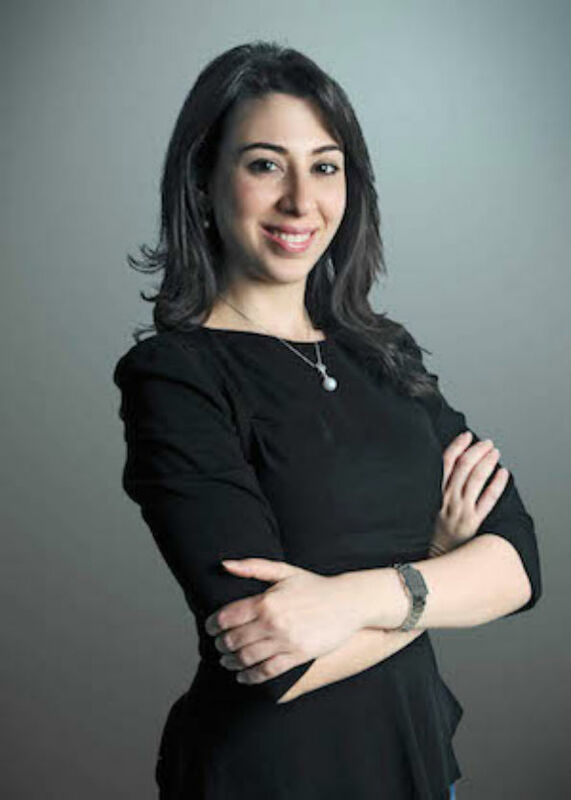 Rasha (above), 29, is the managing director of Diamond Line FZE ­– a family-owned company that specialises in supplying hotel equipment in the UAE. It also has a manufacturing plant, which produces Diamond Line FZE fuels. Muzzon al-Mellehan, a 16 year old from Syria who campaigns against the idea of arranged marriage. Siba Alaradi, a 27 year old Syrian structural engineer who now volunteers at a community centre in Istanbul for people displaced by the war in Syria. Sonita Alizadeh, an 18 year old rapper from Afghanistan who narrowly avoided being sold into marriage by writing the song Brides for Sale. She is now an advocate for an end to forced marriage worldwide. Niloufar Ardalan, a 30 year old Iranian footballer. She is the captain of Iran’s women’s football team. Masoumeh Ataei, a 31 year old acid attack survivor from Iran, who now campaigns on the issue of acid attacks. Jana el-Hassan, a 30 year old Lebanese novelist, who gained publicity after publishing her first novel Forbidden Desires in 2009. Her later novels have both been shortlisted for the International Prize for Arab Fiction in 2013 and 2015. Monir Farmanfarmaian, a 91 year old Iranian contemporary artist. Somayya Jabarti, 44 year old editor of the Saudi Gazette from Saudi Arabia. Also, the first ever editor in chief in Saudi Arabia. Azza Jadalla, a 27 year old Palestinian nurse, and one of the youngest heads of a hospital ward in Gaza City’s Shifa practice. Ayesha Ishtiaq, a 17 year old schoolgirl from Pakistan, who conducts feminist and human rights talks. Tahmina Kohistani, a 26 year old sprinter from Afghanistan, was the only representative for her country at the 2012 London Olympics. Muniba Mazari, a 28 year old artist and anchorwoman from Pakistan, who after losing the use of her legs in a car accident is Pakistan’s first wheelchair-bound model and news anchor. Nareen Shammo, a 28 year old activist and journalist from Iraq who has dedicated herself to helping to free women captured by ISIL. Rotana Tarabzouni, a 26 year old Saudi Arabian singer-songwriter who writes music inspired by the challenges women face back in Saudi and the Arab world. ‘Nour’, an anonymous Syrian refugee who escaped Raqqa in recent weeks, leaving behind her two sisters. Nour talks about the pressures faced by girls under ISIL rule.